Bopping around Seattle can get exhausting–especially if you’re navigating the busiest parts of the city, like Capitol Hill and Pioneer Square. If you’re starting to feel claustrophobic during your vacation, we’d recommend heading to the shores of Puget Sound to recharge and refresh. People-watching can be fun, but sometimes it’s more enjoyable to smell the pine trees, and admire baby seals bobbing in the water. Here are some of the critters you can expect to see out and about near Puget Sound. In South Puget Sound, harbor seals are most active between late June and early September. They spend a good amount of time both in the water, and basking on pebbled beaches, where they can be difficult to spot due to their speckled coats of gray and brown. They prefer quiet, unpopulated areas, so you may need to seek solitude in order to find them. A good place to start would be a hike around Tacoma’s Point Defiance Park. There are four resident communities of orca whales within the Northeastern portion of the Pacific Ocean, with the Southern Resident Killer Whales—a pack of 76—being the most likely to appear in South Puget Sound, near Seattle. June and July are some of the most reliable times to see whales in the city. 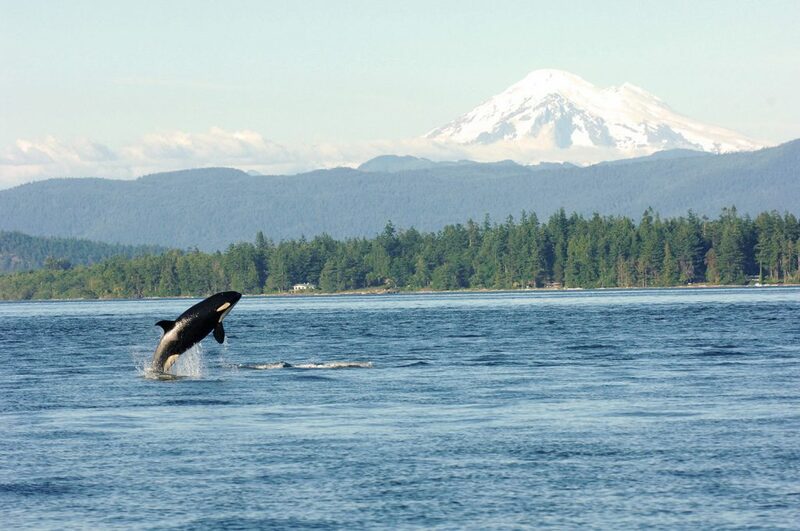 Take your chances on a ferry from Seattle to Vashon Island, or schedule a tour with Island Adventures Whale Watching for a guaranteed sighting. Bald Eagles can be found year round throughout the state of Washington, with the vast majority residing in the Puget Sound area. They’re most frequently seen around shorelines, and large, open expanses of water. We’d recommend taking a walk through Discovery Park in late Fall, to early Winter. Washington’s eagles begin arriving from their Alaskan breeding grounds in October, sticking around until early Summer.